U.S. Soccer signed a wearable technology deal worth $1.5 billion. Wearable technology has evolved exponentially in the past 5 years. It’s gone from early adopter to mainstream and turning into another point of data collection that opens a ton of opportunities for marketers. 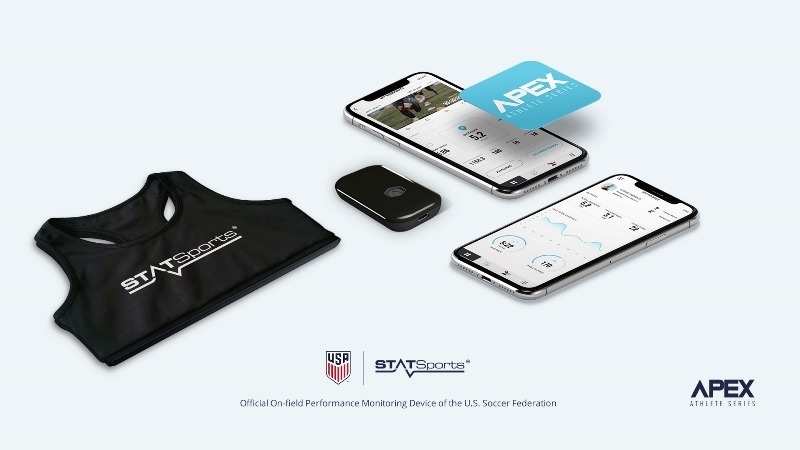 U.S. Soccer has partnered with STATSports to provide monitoring devices for it’s four million registered soccer players. This tech isn’t necessarily new, they have deals with many Europeans clubs (Manchester United, Liverpool, Arsenal, Man City and also other teams in Brasil, Germany, Belgium and Portugal). The uniqueness of this deal is that it’s the first time this tech will be used on youth and amateur players. The device tracks distance covered, speed, acceleration, heart rate, etc. and can be streamed to smartphones, tablets and smart watches. Wearable tech is becoming even more mainstream. The more that younger demographics interact with it, the more it will permeate into our everyday lives and even shape how we are entertained by sport. For example, one day the in-car view of Chase Elliot won’t be enough for fans. They’ll want to know his levels of exertion, heart rate, reaction time, etc. Fun fact: in a race, a NASCAR driver maintains the same heart rate (120-150 BPM) for 3+ hours. The same as a professional marathon runner. Or, football fans will want to know distance covered, speed and heart rate per player and it will be displayed on screen during EPL or World Cup matches. What will the new fan experience evolve in to? What will be the new norm?